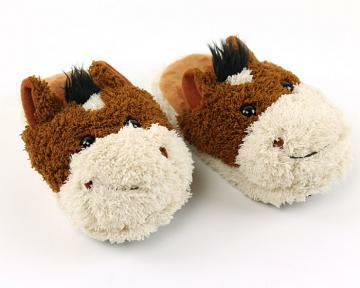 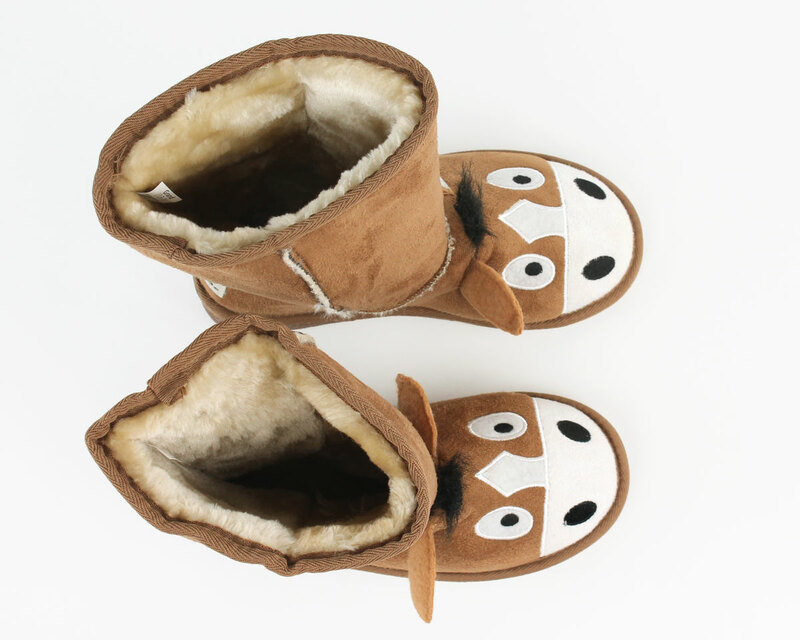 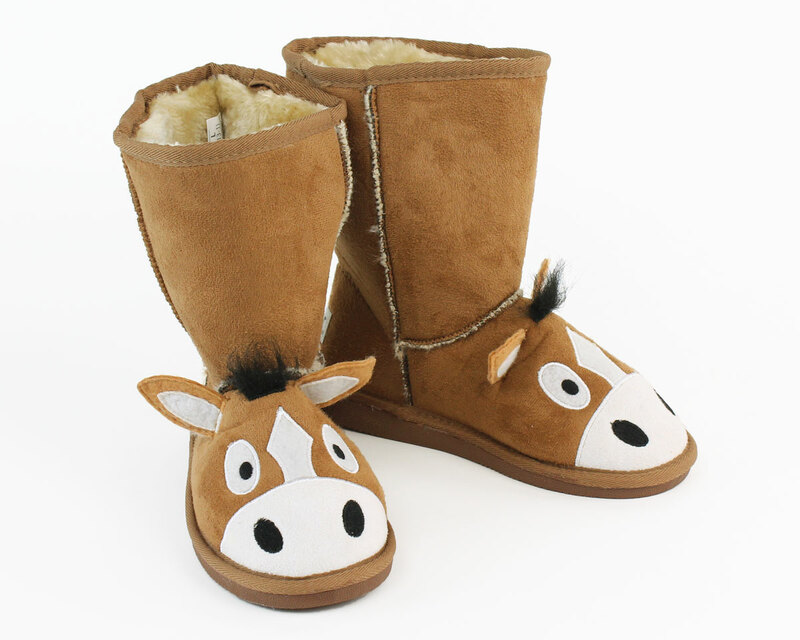 Gallop, prance, and do the neigh-neigh… Your little Seabiscuit will love the embroidered face and floppy felt ears of these adorable boot-style slippers. 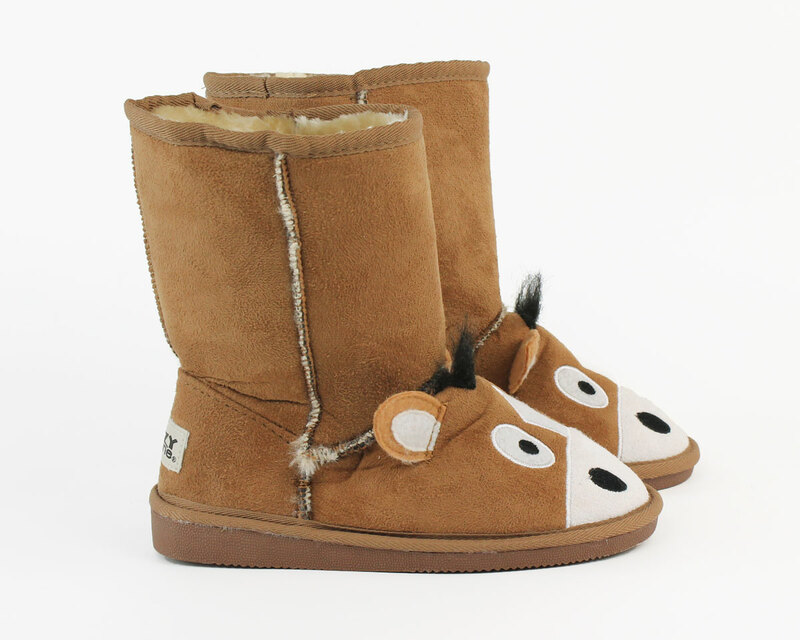 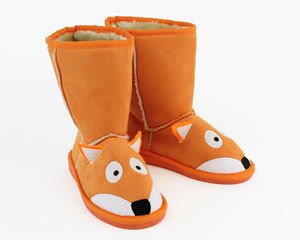 This product features faux suede outers, a warm and cozy faux sheepskin lining, and even a furry black mane. 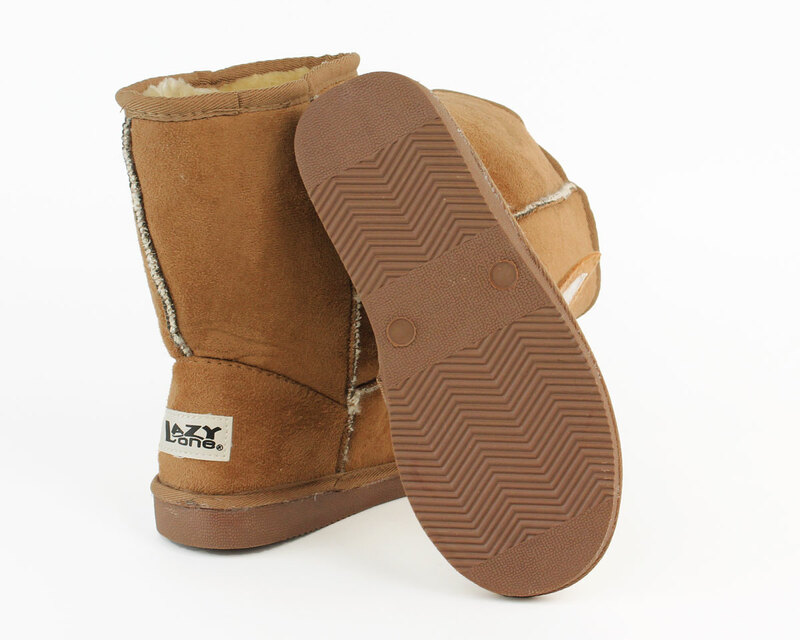 A durable, flexible rubber sole means your little one can gallop around all day! 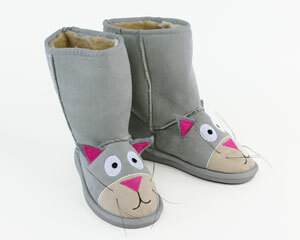 Super cute boots, so easy to slip on and off. 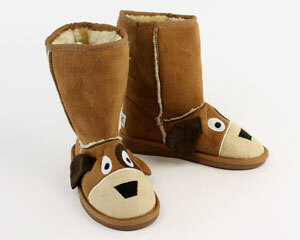 Good quality and Keri’s feet warm.